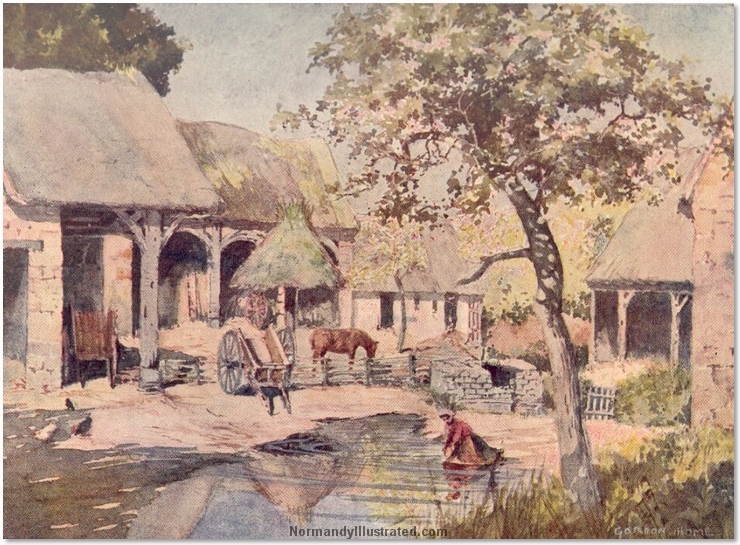 Traditional Normandy farmhouses were often built around a central courtyard around which were grouped the main house, the stables, haystacks and other functional buildings. Animals such as horses, pigs and chickens were kept close to the main living quarters for convenience and protection from predators such as wolves. The fields were worked by the family members and sometimes on larger farms by itinerant farm laborers.